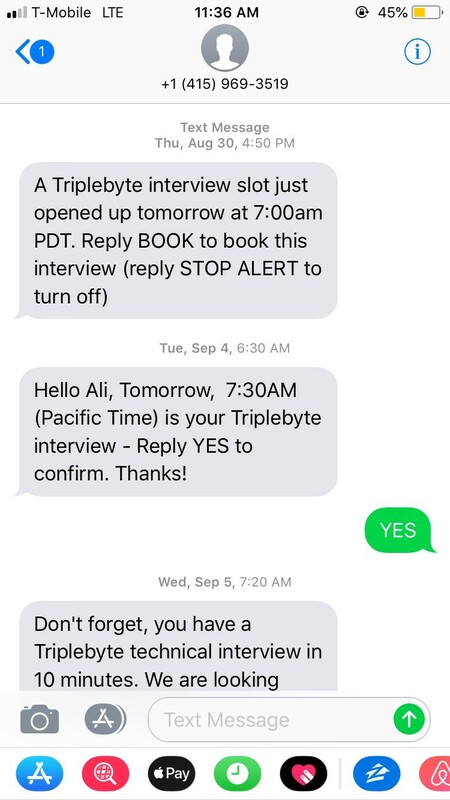 Note: Triplebyte did not ask me to write a review for them. Everything I’m sharing in this post is coming from my own experience. I do not work for them in any way shape or form. I usually don’t write reviews — especially for startups. There are way too many bad startups here in Silicon Valley. 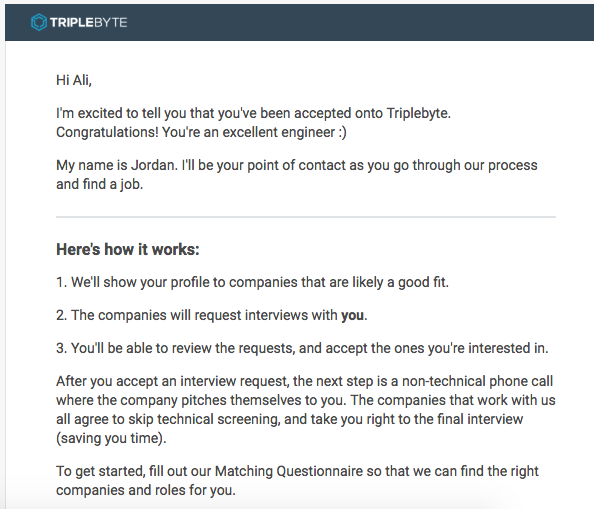 But my interview experience at Triplebyte was so awesome that I just couldn’t resist writing about them! 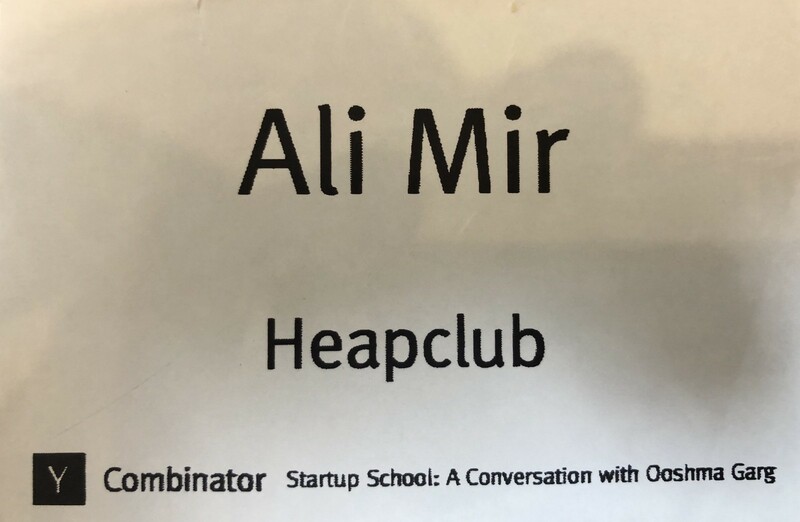 Heapclub joined the Y-Combinator Startup School 2018 program! I found out about Triplebyte from Y-Combinator. I’m a huge YC fan. Check out this podcast where Harj Taggar — co-founder at Triplebyte — talks about his experience at YC and how they started Triplebyte. Here’s another great podcast where Ammon Bartram also talks about hiring engineers. They seem to have an amazing team. Long story short, I used this method to practice for the technical interview. I created an account with a fake email address (I thought they would spam me and I thought I would fail miserably). The online dashboard showed a few options for the quiz. I selected Mobile (iOS). The multiple choice quiz was pretty straight forward. It was one of those quizzes that you can’t really prepare for them. If you’re a strong developer with some experience you should be able to do well on it. So I did. I passed the online quiz! I couldn’t believe it! But because I created the Triplebyte under a fake email address thinking that I would fail the quiz, I quickly went to the settings page and changed it to my real email address. What a relief! The dashboard told me that there weren’t free slots available to schedule a Google Hangout interview. There was a checkmark option that let me opt-in for a text message alert in case of an available time slot. I marked it right away. I waited. And waited. And waited. Then I lost hope. Too many engineers applying. No free time slot available. But I continued waiting for days. Then eventually I got a text message alert. I immediately opened up my laptop to schedule a Google Hangout interview. 7am PST was all that was available. I don’t code well in the mornings. But I decided to go ahead with it. I was afraid someone else would take that time slot. My Google Hangout interview was scheduled for September 5, 2018 at 7am. I woke up earlier to do my morning prayer. I usually sleep after my morning prayer but this time I decided to stay up to review some iOS notes before the interview. I was super nervous. I honestly didn’t think I would have made it to the Google Hangout interview. But I did. Overall, the interview was really fun. The interviewers were super nice and extremely clear. About 3–4 people (other than myself) joined Google Hangout. I was interviewed by 2–3 of them. I can’t remember the exact numbers. The first interviewer asked me to build a project — incrementally. I screwed up on one portion. I thought I had failed. But I continued with courage anyway. The next round was fun. After a 10 minute break, another interviewer asked me a whole bunch of questions about pretty much everything. It was a Q&A session where I was expected to provide short and concise answers to wide range of topics. I did well on most parts except for Web application questions. The interviewer told me that they didn’t expect candidates to answer all questions and that they were looking to get a gist of my strengths. What a relief. I had to say “I don’t know” to a few questions. The last portion of the technical interview was some high-level questions around mobile development. I did pretty well on that portion. The interviews ended the interview by giving me the opportunity to ask questions. As soon as the interview finished, I closed down my laptop and jumped to the bed to take a 30 minutes nap. I got rejected from so many companies so many times. I was prepared for anything. But… Ah, the joy of acceptance. I got an email from the Triplebyte team the next day. It was clear that they wanted to move forward. They also sent me a separate email with a detailed feedback of the interview. That was super helpful. When I went to the dashboard to see my status, Triplebyte asked me (optional) to fill up a short form that included my home address as well as my shirt size — in case they would send me a gift. I didn’t think they would give me a gift. Why would they? I thought maybe after getting a job through them they would send me a gift. I filled up the info anyways. 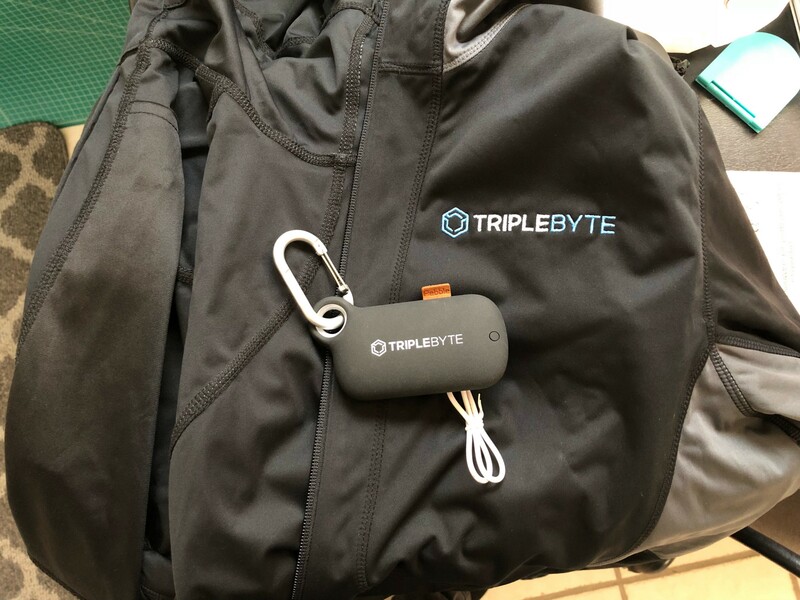 A few days later when I came back home from work, I saw a beautiful Triplebyte gift package. Triplebyte knows how to bribe engineers. They sent me a beautiful (expensive!) jacket with a portable power bank. What an incredible feeling! It took a few days for my profile to “go live” so other companies could reach out. I was immediately contacted by a technical recruiter from a company for a quick pitch call. Now they’re setting me up for a direct onsite interview (if you get matched with companies, you go straight to the onsite. No phone technical screens!! ).